Hi Bella Gypsy fans! I hope your Tuesday is going well so far. We are having a rainy Tuesday here in the midwest today. I would love to see some sunshine! If you are having a wonderful, sunny, summer day then maybe you are thinking of grilling out this evening. 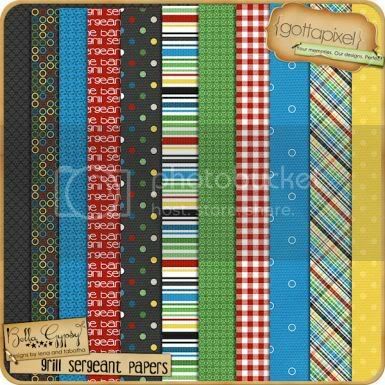 If so Bella Gypsy has the perfect kit for you! 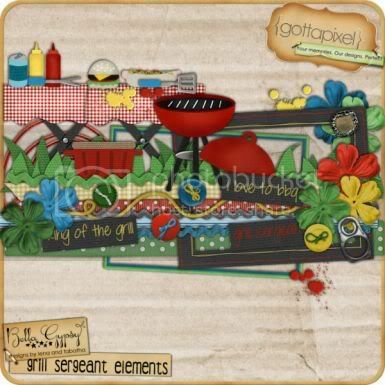 Grill Sergeant is new in the stores this week! Such a fun kit. I just love the alpha. 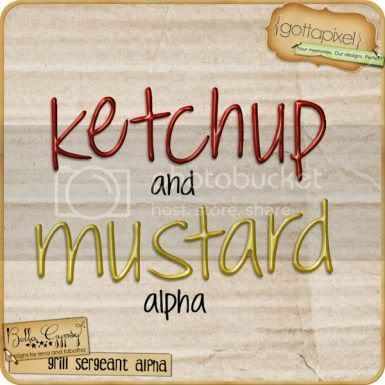 It is called “Ketchup and Mustard” and that is what is looks like. That is so cool! 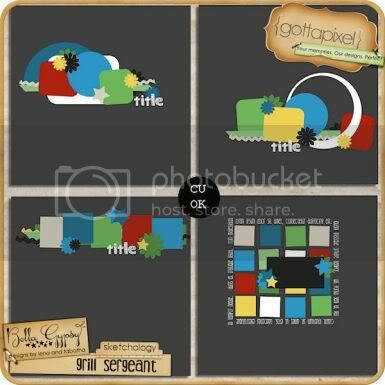 All three parts to this kit plus a new Sketchology set are in the Gotta Pixel $1 Pixel bin today. What a deal! If you missed yesterdays post here is what the kit looks like. All images are linked to the GP store. Go to the previous post to see what our awesome creative team made with this kit! Isn’t this a great kit! I hope you have a wonderful week! If you are enjoying the sunshine where you at soak some up for me!